New! Lighter dot grid pages in the Rhodia Goalbook! Rhodia Drive is a blog about the iconic orange notepads from France and the people who love and use them. It is sponsored by Clairefontaine-Rhodia, the maker of Rhodia products. 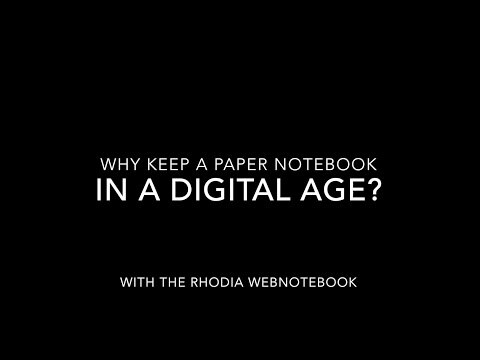 Rhodia – A modern notebook since 1934. Rhodia Notepads - The French orange notepads with a cult following! These sturdy and economical pads are a favorite of artists & designers, writers, fountain pen aficionados, and people who like to use graph paper for notes, sketching and hand drafting. People love them for their grids, smooth paper and iconic cover. The unique scored cover folds back neatly. The stiff back cover makes writing easy and portable. All Rhodia paper is acid-free and ink-friendly. Their bright orange covers make them instantly recognizable in the store or on the street. Rhodia has been around since the 1930s. It was developed in 1934 as a modern office notepad. These economical pads are a favorite of artists & designers. People love Rhodia pads for their grids, smooth paper and unique scored cover which folds back neatly. Dot Webnotebooks, dot grid Rhodiarama soft cover notebooks, and Dot Books are great for bullet journaling. The paper is smooth and pen friendly. Popular Rhodia products include the classic staple-bound notepads, Webnotebooks or Webbies, brightly colored Rhodiarama notebooks, Reverse Book, 4-Color Book, the unique Meeting Books, ColoR pads, Dot Grid notebooks and pads. In 2017 we are introducing a New Year's series beginning with "Year of the Rooster." Rhodia was purchased by Clairefontaine in 1997 and production transferred to Mulhouse, in Alsace, France. Members of the founding Verilhac family still work for Rhodia. The Rhodia logo dates back to 1934. Legend has it that the two Rhodia fir trees symbolize the two founding brothers. Rhodia pads feature a coated card cover which is perfectly waterproof & flexible. The Rhodia pad cover is scored to neatly fold back and features superfine vellum Clairefontaine paper in white with an exceptionally smooth satin finish. The unique stiff back cover makes writing easy and portable, and micro-perforated sheets facilitate easy and clean removal of pages. Rhodia Retailer and Fan profiles feature different uses for notebooks, journaling ideas and stationery trends. Monthly giveaways and contests on Rhodia Drive allow participants to sample papers and read product reviews. David Allen has been a productivity expert for more than 30 years. He created Getting Things Done®, often referred to as GTD®. He is considered one of the most influential people in the world on productivity and time management. David is a fan of Rhodia products. He uses them for his personal productivity, and with his clients. He is the author of several best-sellers, including Getting Things Done – The Art of Stress-Free Productivity.